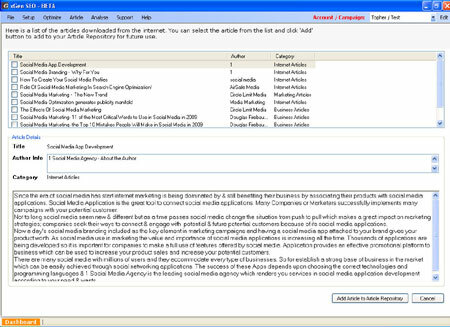 This article submitter software for SEO will retrieve for you great articles from specially chosen online sources. All you do is enter the keywords you want to include in your articles, and XGen will deliver relevant articles to you! 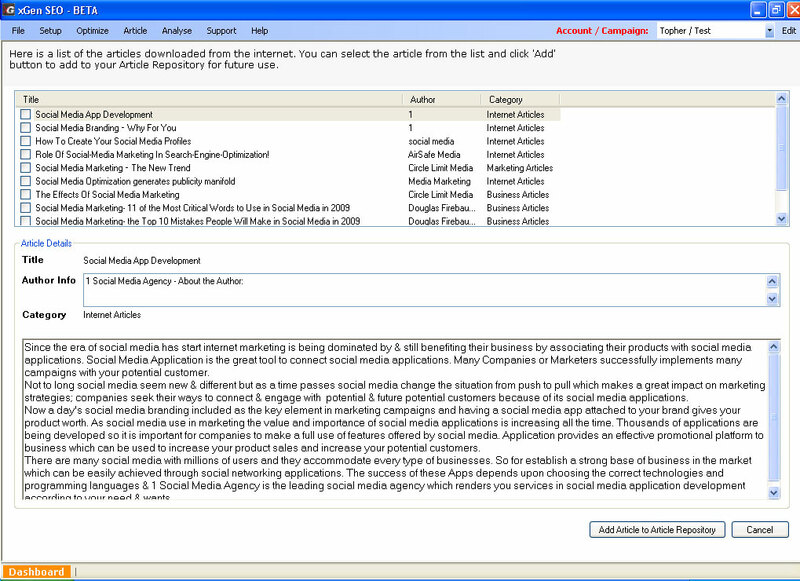 This is an incredibly handy reference tool, allowing you to quickly create high quality articles. Now you can start generating 1000s od quality backlinks to your website.